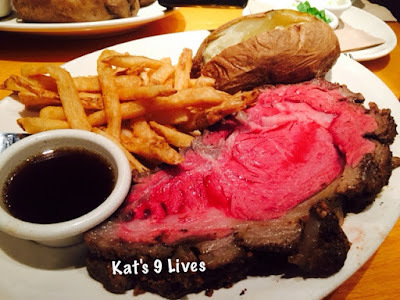 Kat's 9 Lives: BJ's Restaurant & Brewhouse : Introduces Prime Rib! 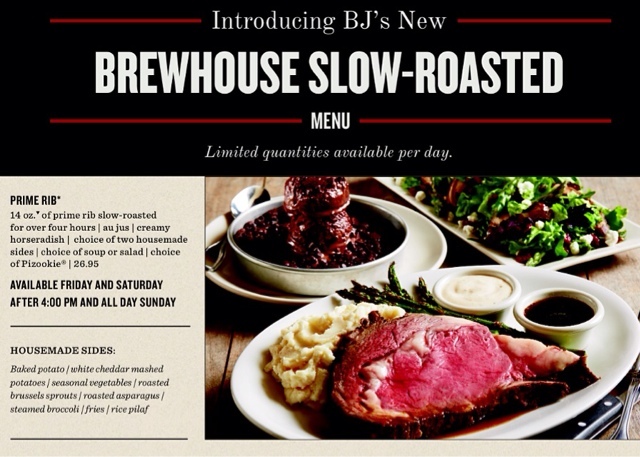 BJ's Restaurant & Brewhouse : Introduces Prime Rib! 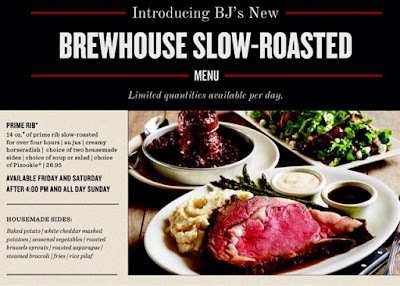 I was lucky enough to be invited to attend on National Prime Rib Day to try their new menu, which is perfect for Mother's Day or any weekend family gathering. 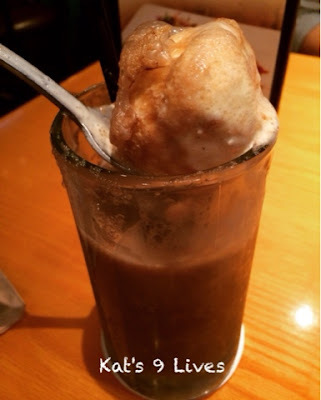 To start the meal off right, I decided to try their Rootbeer Float made with their house-made sodas. They had a few choices for the soup and I decided to try their Roasted Tomato soup, which is always a solid choice. 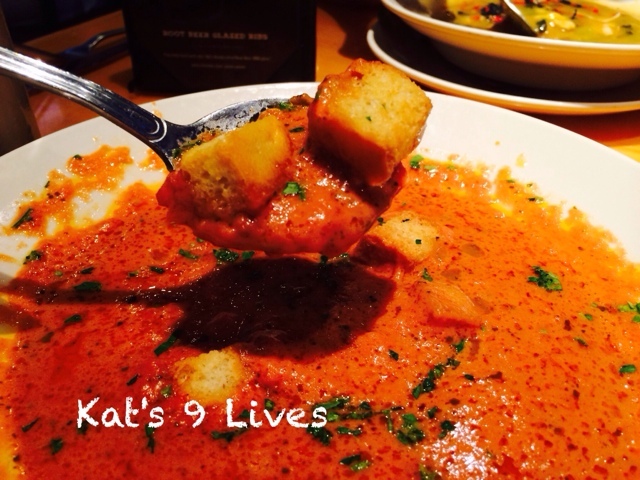 For me, I think of tomato soup as comfort food. It's simple but that only makes it harder to perfect. The portion was generous and flavorful. 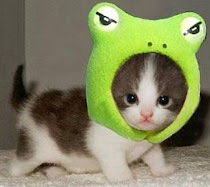 For the main course, you also get to choose two sides. With Prime Rib, I always default to potatoes. Meat and potatoes go together harmoniously. I asked for rare plus and they actually brought a pretty nicely cooked cut. It was juicy and quite a big portion. 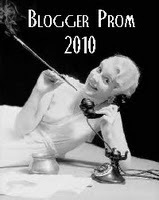 They also offer creamed horseradish or just horseradish to complement the dish. For me, this is a definite must. The pièces de résistance is their famous Pizookie! You can never go wrong with this. 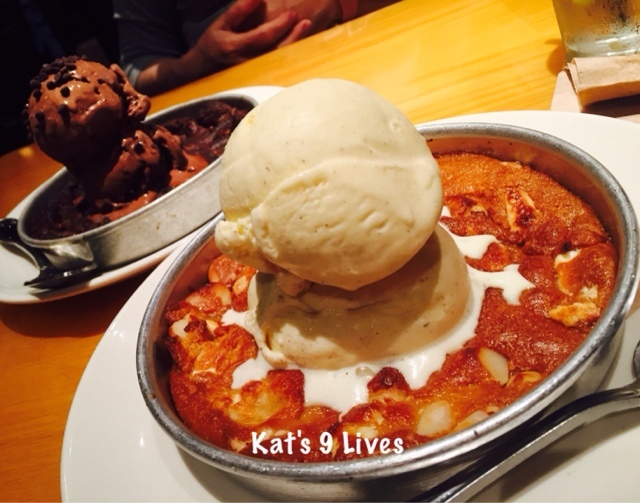 Who doesn't like a freshly baked cookie topped with ice cream! Warning.... sugar overload and delicious goodness! With the meal you actually get a full size pizookie with each meal, which is pretty generous. I always default for a black and white, which is chocolate chip and white chocolate macadamia nut cookie. Since there were two of us, I decided to get a full white chocolate macadamia nut and try their triple chocolate.